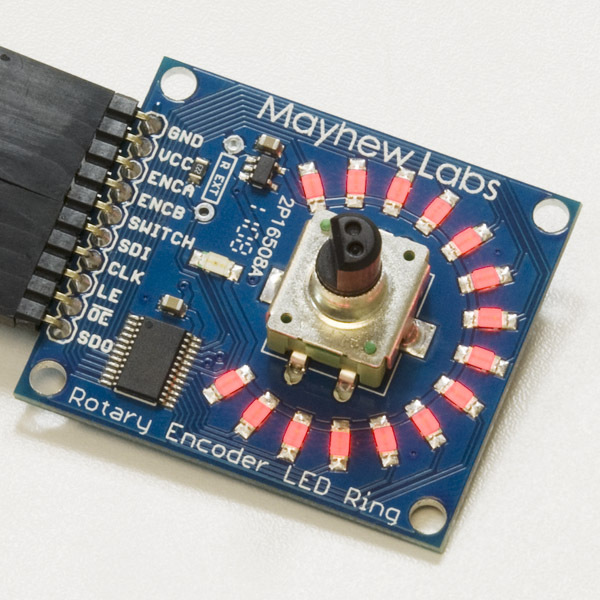 The Rotary Encoder LED Ring is a position indicator for rotary encoders. 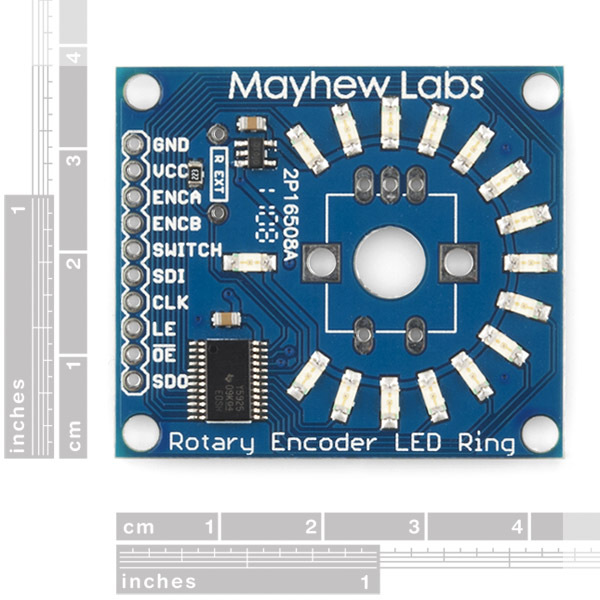 Traditional knobs with indicator lines do not give accurate representation of an encoder’s value since rotary encoders have no start or end point. 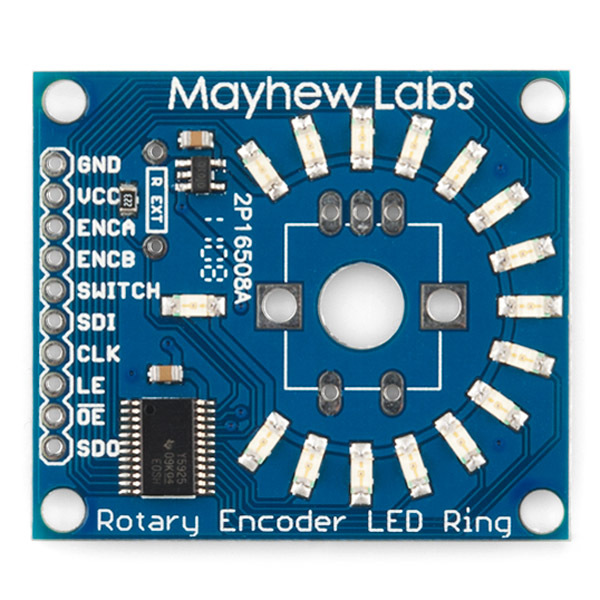 The Rotary Encoder LED Ring has through-hole or shaft mounting for most standard encoders and uses a Texas Instruments TLC5925 shift register to interface 16 red LEDs to any microcontroller through SPI. 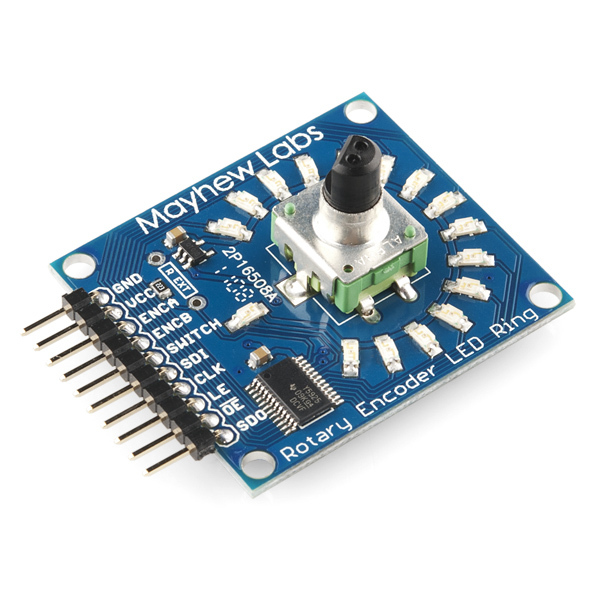 A microcontroller can be programmed to output any desired sequence on the LEDs. 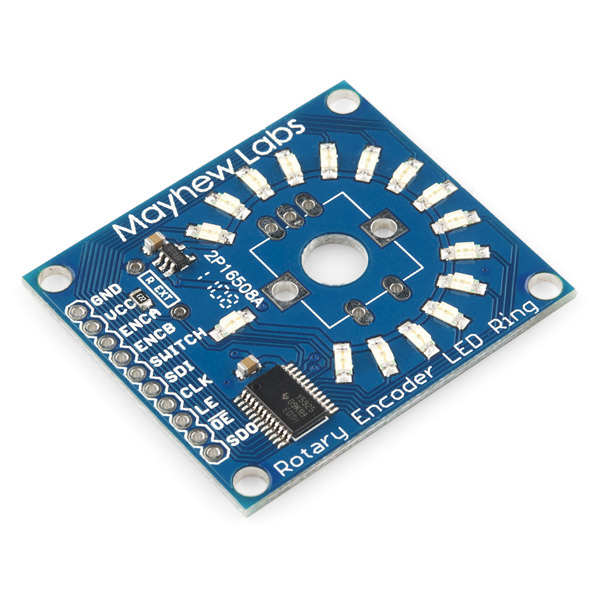 how do i program my arduino to just turn all the led's on without a rotary encoder? I'd imagine that you'd have to bridge a couple of the pins where the rotary encoder would normally connect. Perhaps use an LED-strength resistor to do it. Then just shove a digitalWrite(pin, HIGH) command on it to supply power to the ring.